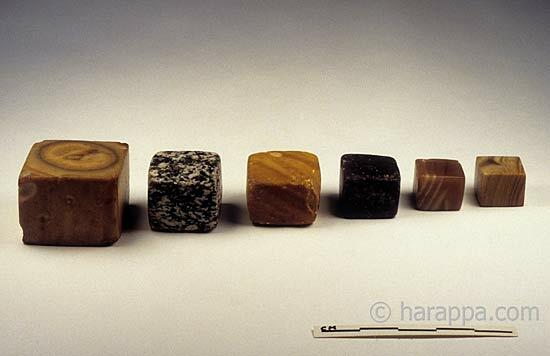 The unique symbols integral to the Indus Valley culture traced in Harappa and Mohanjedaro region that stretched upto Pakistan,were found inside the Edakkal caves in neighboring Wayanad district of Kerala,south India.during recent excavations by the State Archaeological Department.The symbols akin to Indus valley culture links the Indus Valley civilization with South India.Before Malayalam came into being,Old Tamil was used in literature and courts of a region called Tamilakam,including present day Kerala state,a famous example being Silappatikaram.Silappatikaram was written by Chera prince Ilango Adigal from Cochin,and is considered a classic in Sangam literature. Also some Indus Valley seals found in Mesopotamian sites have helped to establish the close connections between the two cultures, Sumeria & Indus valley and to fix a date for the Indus Valley civilization.The date of the Indus Valley has been fixed with some certainty as contemporaneous with the early dynastic period of Babylonia - about 2500 - 1800 B.C. large number of weights found,very few were fraudulent. Copper and bronze were used for making domestic utensils,implements,statuettes and ornaments.The total absence of iron made implements indicates that they belonged to the Bronze Age. Agriculture was the main occupation.They grew wheat,barley,date palm,grapes,melons,peas,sesame seeds,cotton & hemp and they were also meat eaters.They bartered crop surplus to import essential raw materials such as metals and other commodities. Archaeologists can tell what Indus Valley people ate by examining the teeth and bones of skeletons they discover.They also examine rubbish pits for animal bones,seafood shells,fruit seeds and other food remains for clues to their diet.They confirmed that Indus people kept cattle,pigs,sheep and goats for food & Cows for milk and meat. 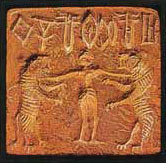 Also One seal found in the Indus valley shows a man tackling a buffalo with a barbed spear & another seal shows a Gilgamesh-like figure standing between two upreared tigers.All these clearly confirmed again that along with the grains,vegetables and fruits grown,animal meat was also a factor of the ancient Indus diet.From all above factors we can simply assumed that Indus Valley people ate a healthy diet.Also it seems that most people probably ate more fruit and vegetables than meat.From the evidence of teeth in skeletons,it seems men were better-fed than women & also Most people's teeth were found healthy too. 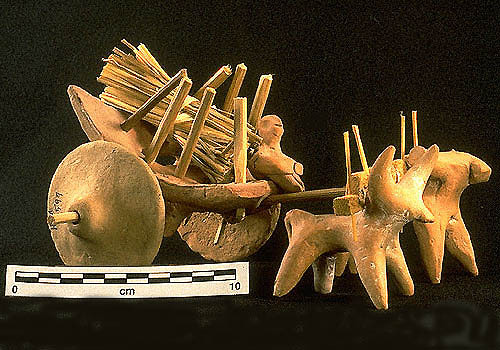 today.Terracotta models of bull driven carts have been excavated from the Mohenjo-daro site,There are guesses that this centralized granary might have been the economic equivalent of our modern State Bank. 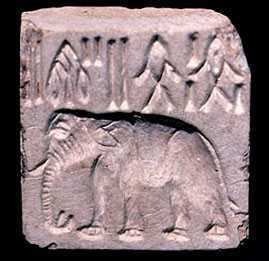 They domesticated a number of animals from local wild species,including dogs and cats,zebu or the humped cattle,short-horns and buffaloes,and possibly pigs,camels and asses.They may have domesticated the elephant too,but the evidence for this is also vague; the elephant was represented on several of the excavated Indus seals and its ivory was used for crafts Aside from the subsistence of agriculture and hunting,the Indus people supported themselves by trading goods too. Indus rulers appear to have governed their cities through the control of trade and religion rather than military might.There is no evidence of monuments built to commemorate the rulers and there is no indication of warfare and weapons of offence.More evidence of who the Indus Valley people were is found in the translations of the Vedas Also Some of the many major kings of the Thasar (Tamils) referred to in the Vedas are Samparan,Varacinan,Viruthiran and Susunan with whom the Aryans fought many battles.With Samparan they fought over a period of 40 years.Several sub-rulers and army chiefs are also mentioned.Thanu who went to the battle front to help her son Viruthiran and Kiraki and Arayi,wives of the sub-ruler Kijava, who also went to the front are some of the heroines mentioned.